Why do designers ignore Rainwater Harvesting as a (brilliant) sustainable drainage method? So, why do so few developments consider rainwater reuse, and should it be encouraged? In the interests of balance, I’ll provide some points to support the case for rainwater harvesting. And ‘in the other corner,’ some genuine comments I have encountered from developers, councils, architects and consulting engineers when I’ve quizzed them on the lack of use. Why I think Rainwater Harvesting should be considered. 1.It treats rainwater as a valuable resource and provides a wider environmental effect. Let’s face it… Using heavily treated, drinking quality water that’s been pumped from miles away just to flush a toilet is a grossly ineffective use of resources. Water treatment and pumping uses a huge amount of energy. One estimate suggests water and sewerage companies produce more carbon than the rail industry (around 1% of the UK’s carbon emissions). 2. Data logging from sites show it really works. 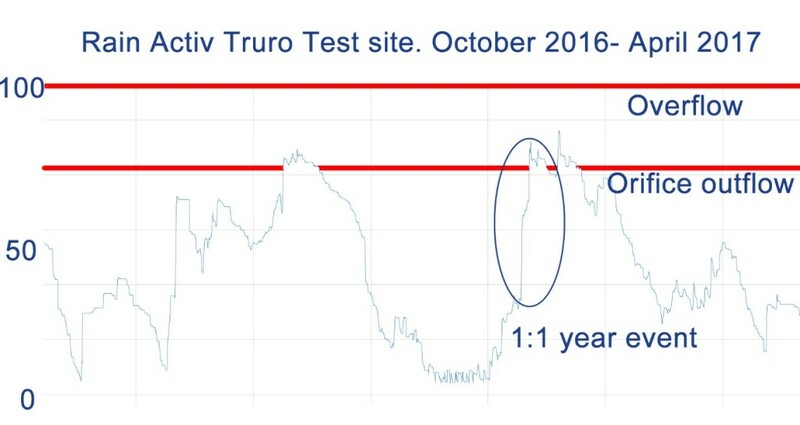 The graph below shows data logging of the tank level from a rainwater harvesting test site. The system provides around 3000L of rainwater harvesting for a four person family to supply their toilets and washing machines. The system also has 2000L of controlled attenuation to limit flows in exceptional events. 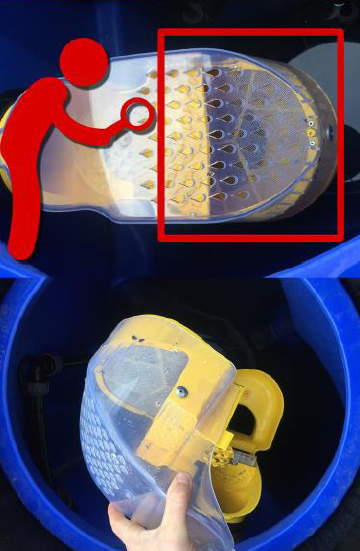 The results are clear, as the family are in constant use of the tank’s capacity, when a storm event did arrive the system handled the flows exceptionally effectively. For reference, in the 1:1 year event circled 22mm of rain fell within a 4 hour period. A pretty clear one. 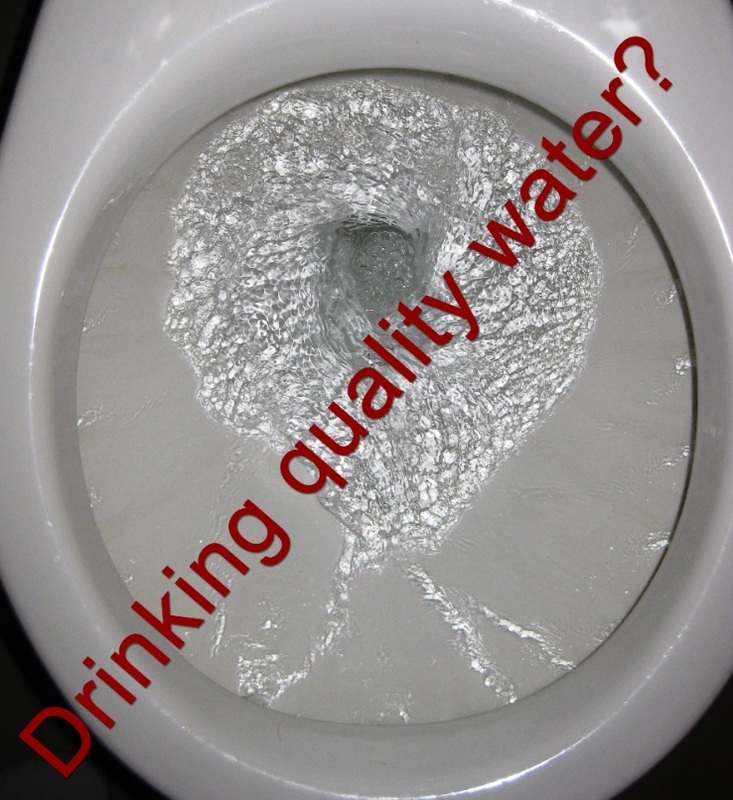 In most cases, SuDS can be a ‘cost’ with no return on investment or payback. A decent rainwater harvesting system on the other hand will save a homeowner 50% on metered water with typical payback (including running costs) around 12 years. 4. It’s source controlled attenuation. “Manage water as close to the source of the run off as possible.” – The next biggest criteria on the designer’s list (according to best practice). Nothing is much closer to the source than a tank buried next to the downpipes taking rain from the roof. Rainwater harvesting systems have used self-cleaning filters for a couple of decades now. Maintenance is a single filter check per year, removing any major debris. It’s quick, simple, safe and very low risk if neglected. In virtually all cases maintenance is carried out by the homeowner, keeping costs down. 6. They don’t need specialist installation. Any civils team can put install a modern rainwater harvesting system – so no expensive specialist teams are required! 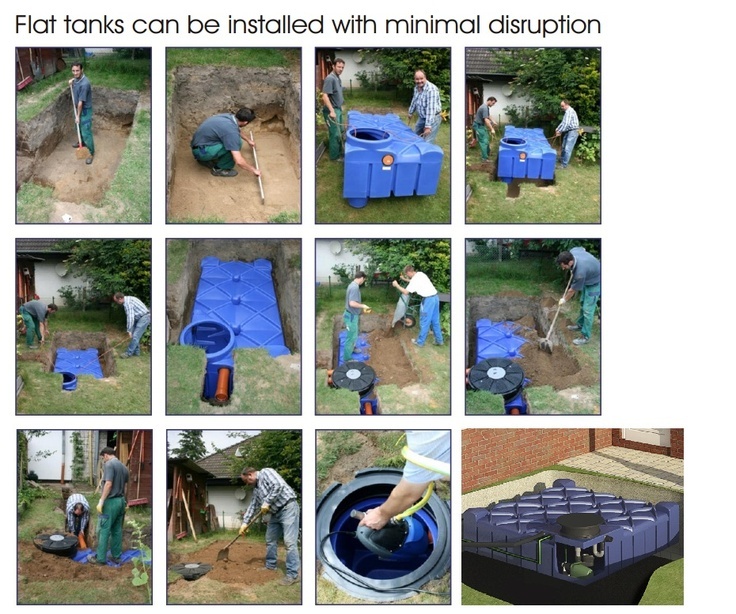 Nowadays, most rainwater tanks are ‘shallow dig’ with an excavation of around 1m. They also arrive on site fully pre-assembled and don’t require any concreate. All the above makes the systems much more cost effective to install than previously thought. 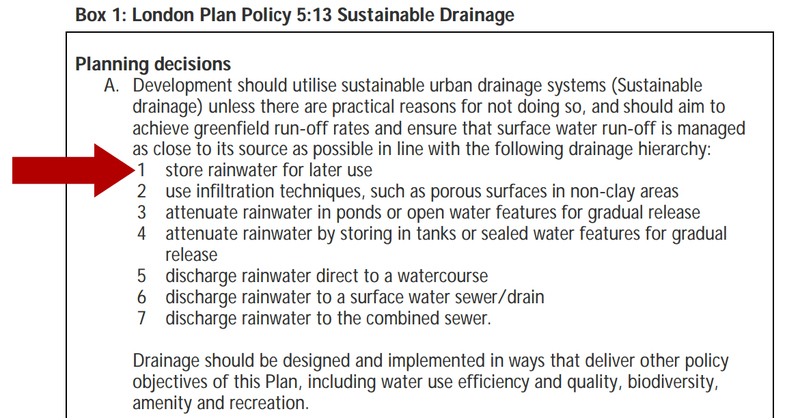 Reasons why I’m told Rainwater harvesting is not being considered. All genuine statements. My replies below. JL: True; but rainwater harvesting systems are sized to a British standard, a theoretical spare capacity can be calculated. Also, this was a single domestic dwelling being specified. Why not accept the client is making a considered effort to reduce discharge rates and meeting best practice. Why obsess over discharge rate calculations and miss the bigger picture? JL: Assuming some scale, Rainwater harvesting costs around £1600-2000 per property depending on the system size. If it can be combined with controlled attenuation the marginal cost to add rainwater harvesting to a controlled discharge attenuation system is somewhere around £500. JL: Lots has changed in rai nwater harvesting over the previous decade, so let me answer the above. Systems are very safe (no risk of legionnaires) and most have full WRAS approval. The filtration and underground storage ensures the water looks, and smells clean, and it is safe. Maintenance is one check per year as above. As manufacturers, we expect a 10 year service from a pump (guaranteed for 2 years) and 100 years from the tank (guaranteed for 25 years). Leading Architect, Cambridge; I’ve stopped specifying them because even when stipulated in planning the client found ways to have them omitted. JL: Planning authorities should be tougher. Don’t bother producing a best practice guide if it’s only going to be ignored. I firmly believe Rainwater Harvesting should be an important part of drainage design. It is a shame a methodology hasn’t been written to quantify its effect based on average consumption. 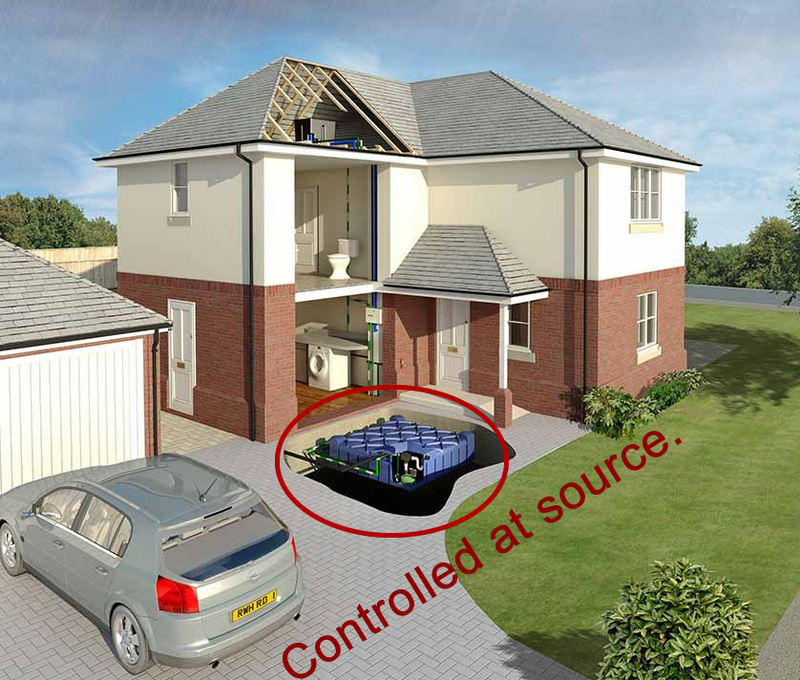 With the above in mind it’s great to see controlled attenuation systems are now being combined with rainwater harvesting, thus sharing infrastructure to keep costs low.